This is not a read for the faint-hearted for two main reasons: the ghastly topic, and the sheer length of this melancholy novel. Five-hundred-and-sixty pages long, it tackles the difficult subjects of experimentation on and euthanasia of children in Austria during its annexation by Germany. Based on fact, this story is largely set in Am Spiegelgrund, a children’s hospital in Vienna, which was both a reformatory for disruptive children and a hospital for sick and disabled children. It is told from the perspectives of Adrian Zeigler, a child admitted to the hospital, and Anna Katschenka, a nurse who works there. Through Adrian we are exposed to the callous treatment of patients. What should be a place of safety is a place of oppression and brutality. Parents are refused entry to visit their children left in the care of this institution. Their children’s health rapidly deteriorates until they die. The reader understands this is because they are subject to “the treatment”. As part of Hitler’s racial hygiene programme, they are being studied, experimented on and euthanised. One doctor later explains the treatment, “as prescribed by Berlin, is nothing but a kind of hygienic intervention, part of a natural disinfection process”. Meanwhile, Anna gives an insight into this institution from a worker’s point of view. She has sought a job there to allow her to work with a doctor who has previously treated her depression. An apparent infatuation with the doctor seems to give her the ability to ignore the truth of who he is and what he does. Indeed, Anna perceives herself as a dutiful daughter and a hardworking, well-intentioned nurse, giving no indication of accepting any culpability or complicity in the maltreatment and murders in the hospital. Following the end of the war, the stories of their lives continue, with Anna giving a brief glimpse into the war crime trials and outcome for some of the perpetrators. Adrian has survived, but life turned out “to be a lifelong progression from prison to prison”. For the rest of his days he is haunted by the events of his childhood and the ghosts of his cohorts. 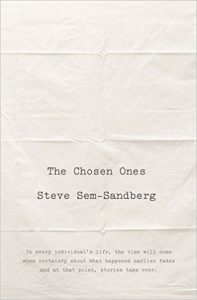 Sem-Sandberg tackles this bleak subject in an equally bleak style. The voices of Adrian and Anna are flat to the point of being unemotional. This gives the book the feeling of being a testament, not a novel. There is no point of relief anywhere in this story, so the reader plods on, through seemingly endless matter-of-fact descriptions of the shocking behaviours humans are capable of and their awful consequences. For example, when talking about a nurse watching one of the children who was prone to becoming agitated to the point of violence, he writes, “That’s why she sits by him, ready to catch the twisting, unwilling body that alternates between rigid, harsh resistance and slack, leaden weight. At these times, it becomes necessary to pilot him with cunning and gentle force out into the deaf, white, toneless world again”. This almost suggests benign care when at best it is perfunctory and often cruel. I make no apologies for making this sound like a dark, depressing book: it is. 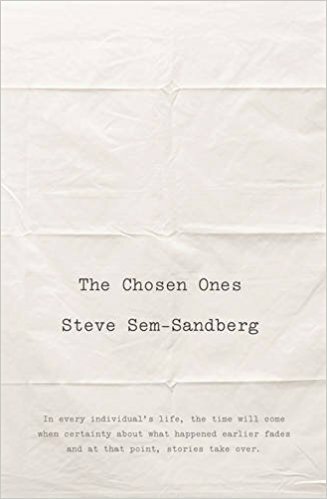 But there are two reasons why I persevered – it should be read for the sheer beauty of the descriptive language which tells this terrible tale with wonderful sensitivity and expressiveness, and Sem-Sandberg tackles a very difficult topic head-on and challenges the reader to do the same. The reader faces the truth of this very dark period in Austrian history, which most of us, like Anna, would prefer to look away from. It also challenges the reader to think about how circumstances did, and still do bring out the human capacity for brutality and complicity by inaction – a particularly potent message for readers of our time.